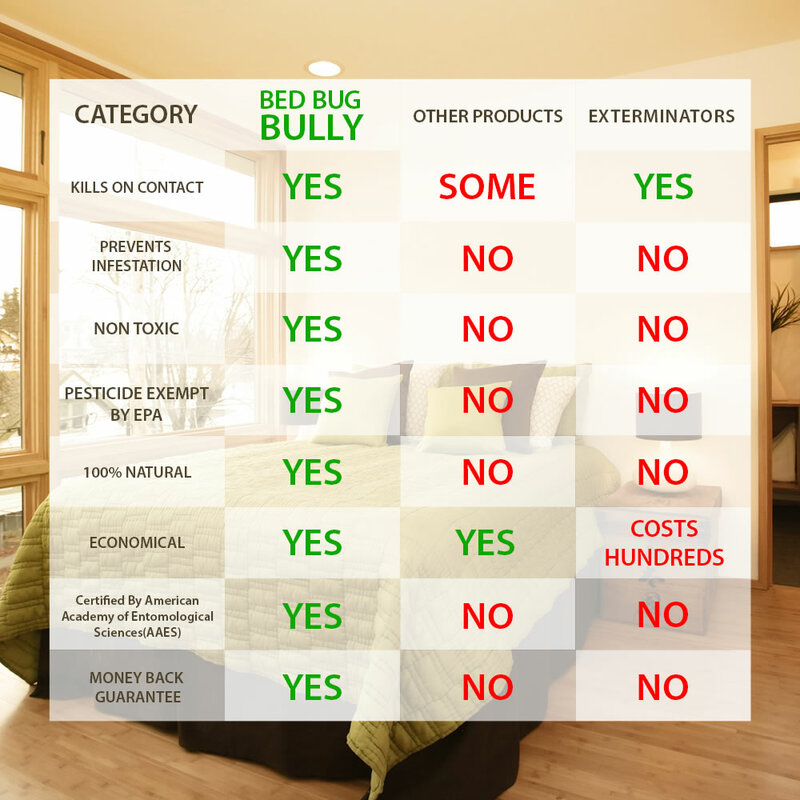 Bed Bug Bully is a mild formulation with naturally-derived ingredients that aids in the elimination of bed bugs, fleas, ticks, cockroaches, ants, millipedes, carpet beetles and prevents re-infestations for up to 30 days when used in accordance with label directions. This formula has been third party tested by the American Academy of Entomological Sciences (AAES). This product has not been registered by the United States Environmental Protection Agency. This product qualifies for exemption from registration under the Federal Insecticide, Fungicide and Rodenticide Act (FIFRA) and is in accord with USDA 21 CFR 178.3400 and/or found on GRAS list, Parts 170 to 199 as containing exempt food grade proteins. 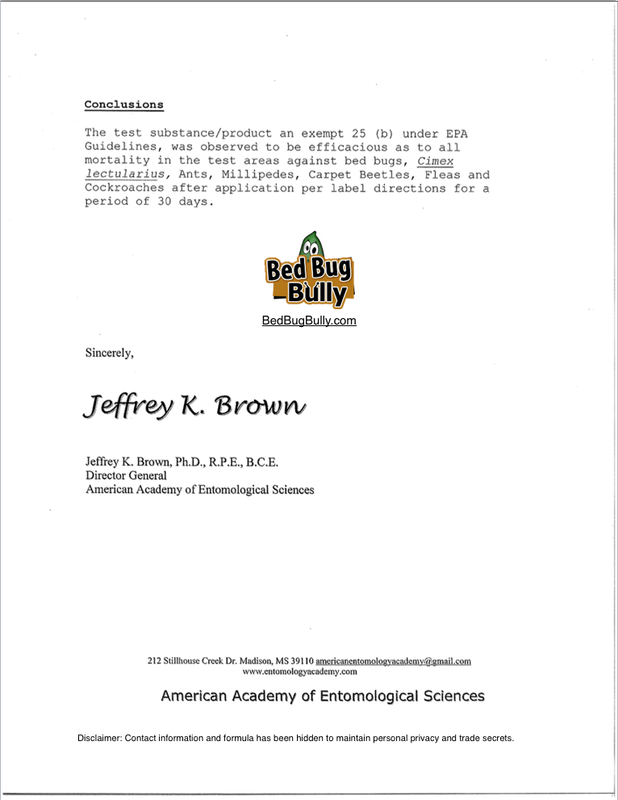 Certification from the American Academy of Entomological Sciences certifying Bed Bug Bully's effectiveness in killing bed bugs and prevent bed bug infestations for up to 30 days. For questions related to bed bugs and Bed Bug Bully, please visit our Bed Bug Bully Help Center. My annoyance with sores and mild itching reached a peak after several months. I quickly realized I had a bed bug issue. After searching online for the best products, Bed Bug Bully earned my vote. After a minor hiccup in the shipment, the product arrived quickly, and it did not disappoint. I followed the instructions on the bottle: cut out the bottom of any box springs (they harbor eggs), spray them down, lightly spray the mattress, and spritz the clean bedspread. I have not slept so soundly in a very long time. In addition to my restless sleep subsiding, my skin was markedly improved within 24 hours (I cannot discern if this was the product or my immunity). My energy level is up, and I still have plenty of product left over. I think the only improvement I would make on my order would be to offer a spray bottle along with the order (or at least a sprayer for the over-sized bottle top). I highly recommend this product and will definitely order more when my order diminishes. I can’t believe but it really works! I purchased bed bug bully and its working! Have not gotten it yet. I’m trying to save our kids. Help! I must say it works fabulously. 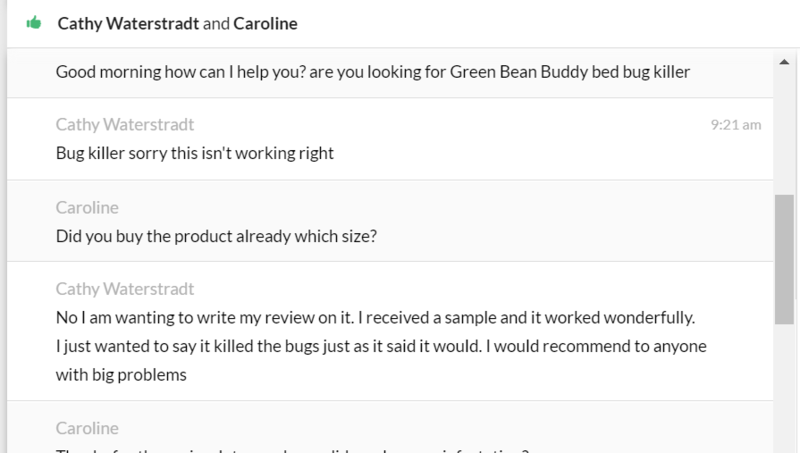 i’ll be sure to give your product a reference if anyone needs a good company and product. Going very well. Thanks, product great. I have conquered my bed bug infection in my bed. I am now working on the rest of the bedroom and my sofa bed. I can now sleep comfortably! Hey, thanks for checking in on me. The infestation is gone. Luckily I realized my problem quickly and acted quickly to handle it. Thanks for your product. Should the need arise again, we’ll be in touch. 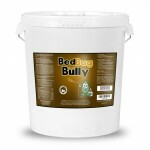 I must that after a couple of days I have noticed fewer bed bugs very good product just need more of it for the price. Bed bug free for over a week now!!! It’s an amazing feeling! Thank you! 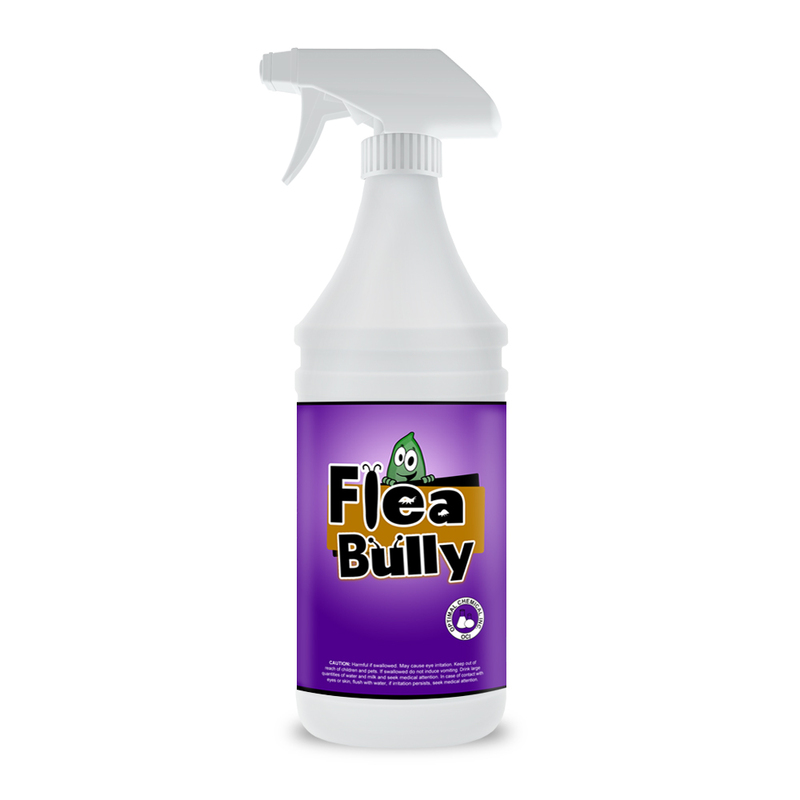 Great product and I’ll be buying the 30 day spray to prevent reinfestation from possible visitors.. Although it will be a question I ask now lol. 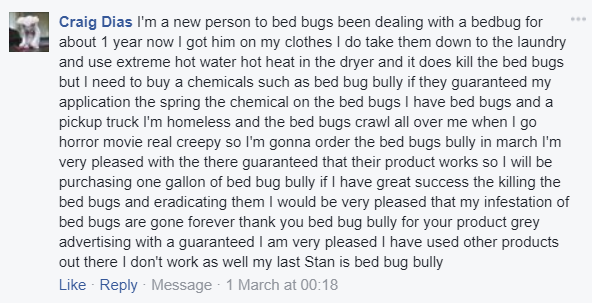 Thank you Bed Bug Bully! Thank you. Your product worked wonderfully. I still see an occasional bug from time to time. Any thoughts? Mix it with cinnamon oil that’s what smothers them. But Bed Bug Bully really works. I was wondering if you could help me decide what product I should get. I am having a problem with fleas and ants. Would I need 2 different products or would one work for both? By the way I had a small.problem with bed bugs a few years ago and your product worked perfectly and we never had a problem with them again. Thank you for your help. Thank you and your staff for an expeditious response and clarifying everything. I appreciate the attention to detail, as well as the outstanding customer service. Look forward to using your product and putting an end to my current delicate and annoying matter 🐜🕷[mine is “other”]! Hi. We loved Bedbug Bully!! It worked great for us!! Question… does it work on fleas? My friend is having an issue with them. Thank you so much for all your assistance. In the future, I will attempt my original order, & hope I’m not stuck with an unnecessary & unwanted upgrade. Your service has been excellent & appreciated. I’ve got a catalog…you’ve been very helpful. That original problem is completely solved. I’ll be a customer as other things arise. I’m a True Believer in bed bug bully I don’t care what anybody says out there in America bed bug bully work for me and it’s a damn good product. Just wanted to let you guys know that I haven’t seen any of those little boogers for a few weeks now and that your product did its job . It worked! Thanks for the tips and updates ,Sir. I am pleased with the success of treatment with this product. Thank You For Your Prompt Response As It Is Most Certainly Appreciated!! 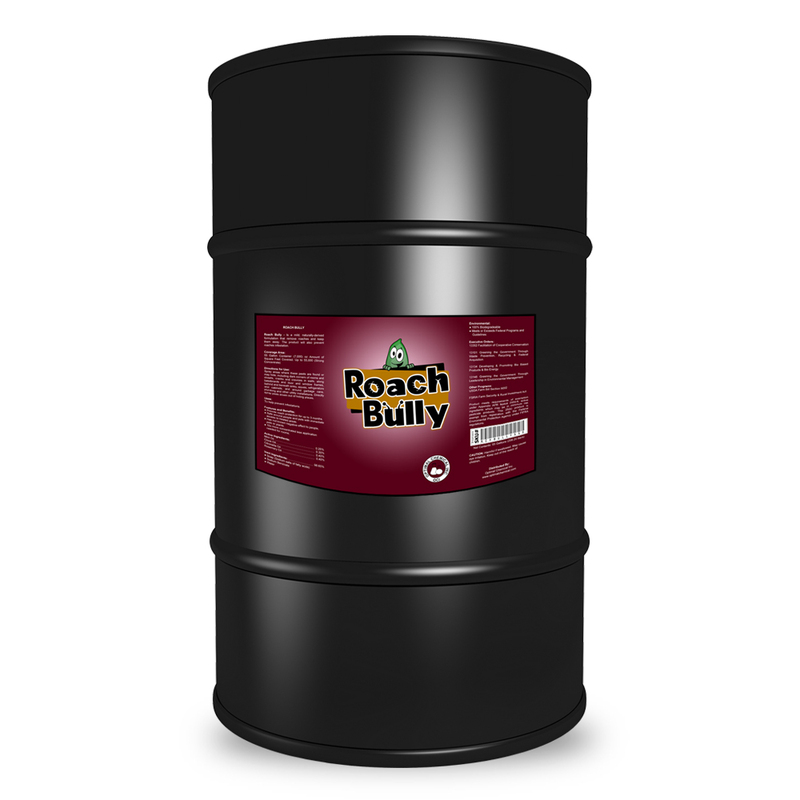 You People Are As Good As Your “Bed Bug Bully Product”. Thank You to you all. My order arrived and works Great Great, thank you so much! Received the product on October 16. Very satisfied with it. I am the Director of Maintenance for the homeless shelter and transitional living center in Bismarck, ND. I care for 110 apartments plus 200 emergency beds. Your product worked pretty good we did the treatment in one of the rooms and it’s doing it’s job so far. we will continue with the treatment in the other rooms we have at our facility. I received the blue print and distributed to my maintenance people in the facility. We also saw the videos there were very helpful thanks for educating us on how to use this product. Great. That will be good. Bye for now. Great product. Yeah !!!!!. I never thought I would ever see bed bugs. Well thanks anyway! 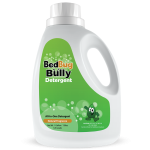 Bed Bug Bully products have help me keep some sanity! Thank you for solving this for me. I do and will always recommend your products…They work very well. Our ministry has several men’s and women’s homes, and there are times when this product comes in real handy to combat them little, biting critters. I purchased a gallon of bed bug bully and the detergent and the plug in thing how can I purchase 2 more of the plug ins..? I really am glad I tried this one so far I am impressed I got this for my mother’s house and wanted to put plug ins in the bedroom. Thank you again. Wonderful Product!!! Okay, I’ve killed the bedbugs but I read that this kills a lot more than bedbugs. I have some firewood that has termites in it. Would it kill termites? If not that’s fine I’m just curious!! 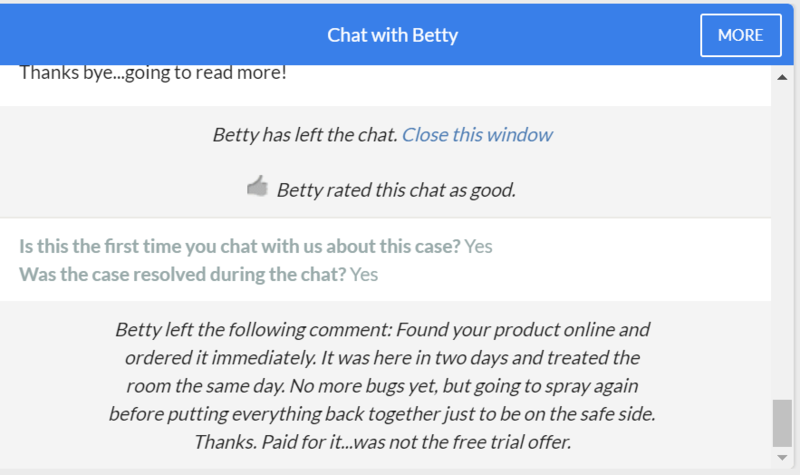 Chat with Deborah Smiley: 02/06/18 Bed Bug Bully Wonderful product. Helped me a lot with my bed bugs problem. I continue with the treatment because after a month I see couple crawling around I want to make sure they are gone for good. I’m buying 2 more gallons this time. See I like the product. I have bought your Bed Bug Bully a couple times and love it. !1 ;–)) It is great and pet safe. !!! Shannon rated this chat as good. Shannon left the following comment: Such an efficient, respectable company. Very thankful for y’all! Caroline was awesome and very patient with all my questions. 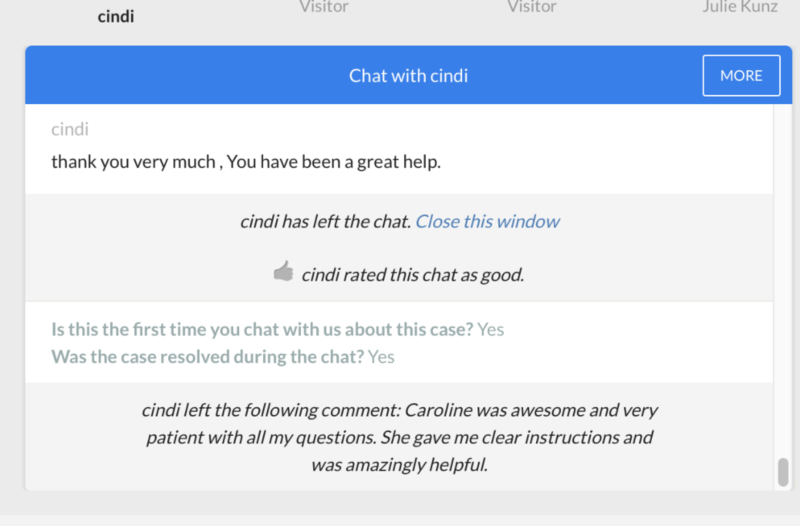 She gave me clear instructions and was amazingly helpful. Been feeling pretty good lately. Just wanted some for reassurance. Besides, I really like the detergent! You said the Detergent is good? do you like it? did the detergent helped you with bed bugs on your bedding and clothes? Also, yes! Been using both for some time. They both make me feel better. Glad to hear that! 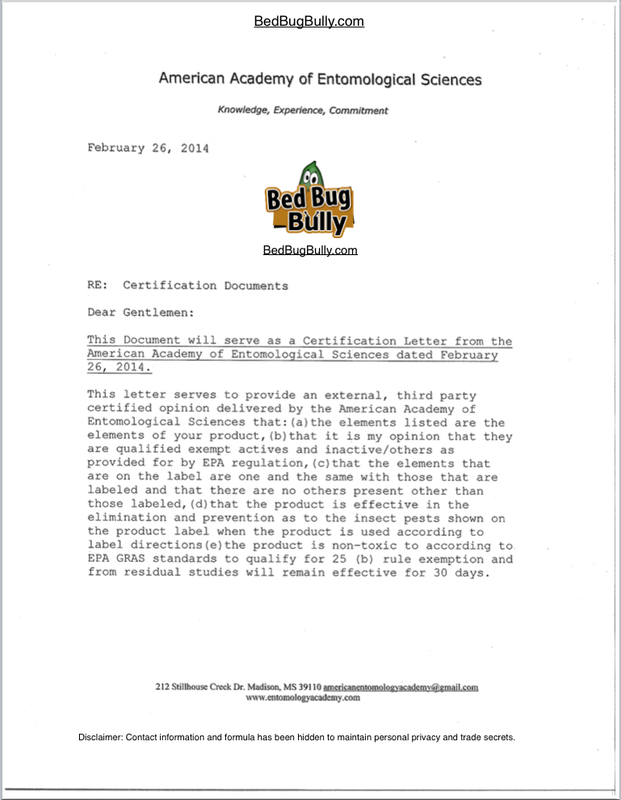 we try to educate our customers in how to use Bed Bug Bully product and we are happy to hear that our product helped you to get rid of Bed Bugs! physically emotionally and mentally. Although I’m still working on each one! Betty left the following comment: Found your product online and ordered it immediately. It was here in two days and treated the room the same day. No more bugs yet, but going to spray again before putting everything back together just to be on the safe side. Thanks. Paid for it…was not the free trial offer. No. I’m wanting to write my review on it. I received a sample and it worked wonderfully. I just wanted to say it killed just as it said it would. I would recommend to anyone with big problems. Lynn: Your product is amazing I got rid of all the bed bugs in my house for the past 6 months Im bed bug free. I’m buying more now because I saw a little one crawling around and maybe someone brought it again but I dont want to take any chance so Im buying 1# gallon of your product this time. Thanks for all your help and your product really works! Look I like your product. It took 2 orders to get rid of bed bugs. It worked and I’m thankful. I tried everything but this is the only thing the gets rid of them. I used it because a friend told me about it it was amazing I have not yet see any bugs and this was at Christmas time last year best $70.00 I ever spent. 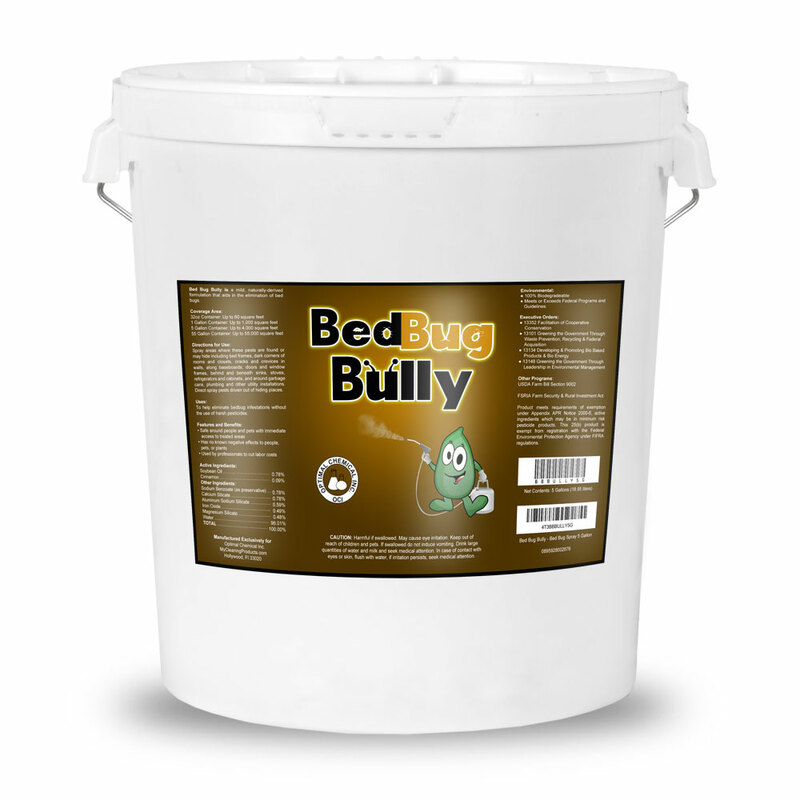 I definitely recommend this product to everyone that have issues with bed bugs.